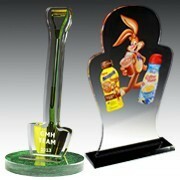 Acrylic products are popular as corporate giveaways. 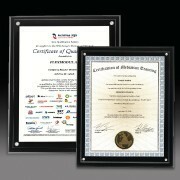 From awards to certificate holders, plaques, and certificate holders, we offer endless options for this material. With our wide array of innovative and unique designs, there is definitely one that will suit every client’s needs. 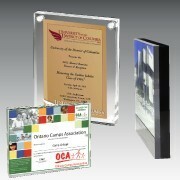 Acrylic is also the perfect material for branded certificate holders and magnetic entrapments. 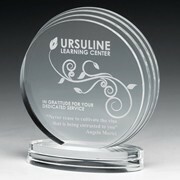 Customizing your acrylic awards is not a problem. 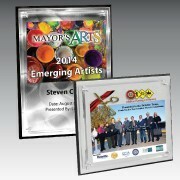 You can have your award in the shape and size that suit your needs. 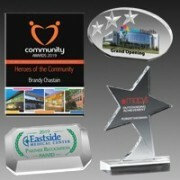 Recipients will definitely love displaying these custom awards as it gives any desktop or shelf that elegant look. 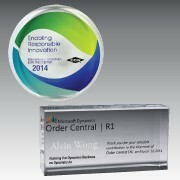 Of course the highlight of the acrylic awards is the prominently positioned corporate logo. 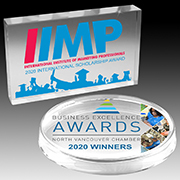 Innovation Line is an industry leader in promotional giveaways and high-quality brand merchandising items. Our website has all the information you need in picking the right items for every event or occasion.